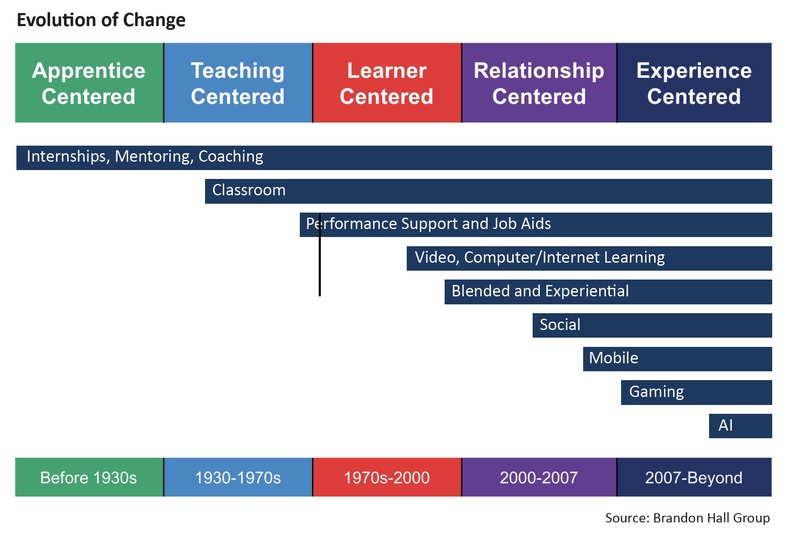 There’s been a recent paradigm shift in learning architecture. Moving from course catalogs and compliance to incorporating concepts such as micro learning and personalization, we’ve evolved from e-learning to digital learning in a single generation. This new, complex learning landscape of fresh solutions, legacy systems, and emerging technologies can present multiple challenges for Learning professionals. Organizations also face learning challenges from within. 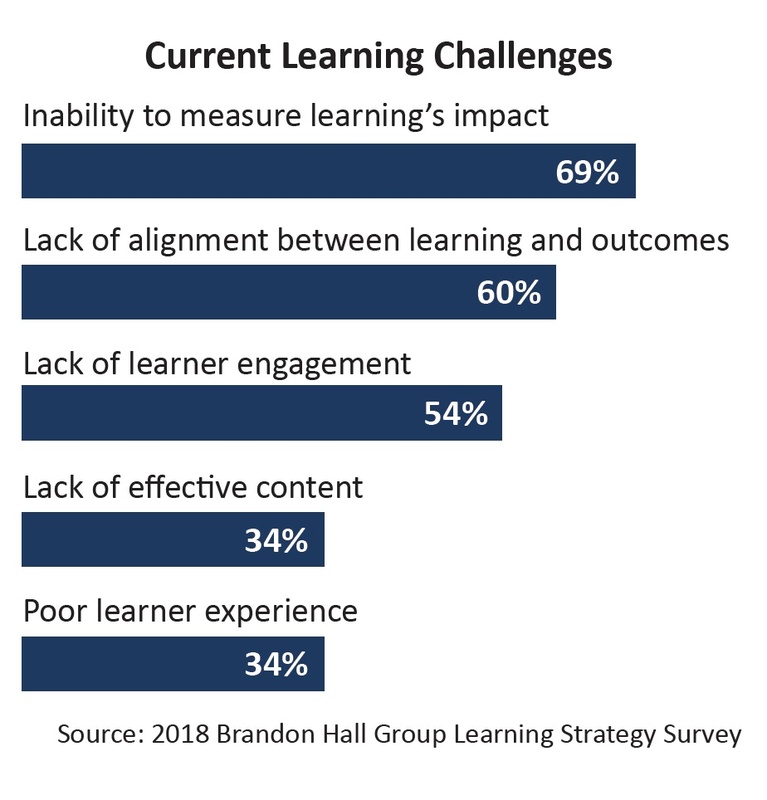 Inability to properly measure impact and a lack of alignment between learning and outcomes are seen as the biggest challenges to achieving learning goals. Actually, learning has been evolving for decades, but that evolution is accelerating. With each new advance, augmenting—rather than replacing—the previous one, we now have a vast array of technologies at our disposal to create a wide variety of learning experiences. And the evolution continues. To make sense of it all, organizations must develop an architecture that allows them to build targeted learning programs to meet the needs of the business and the learners. Understanding that most of what people learn is derived from experiential learning, not formal courses and classes (the 70/20/10 model), can help inform a design framework that uses a combination of formal, informal, and experiential learning. This is more effective than sequentially rolling out formal, then informal, then experiential learning. Learning is no longer the outcome. It is behavior that drives performance. Companies must cut through the “red tape” of learning. Creating and maintaining the minutia of the business now falls to robotic process automation (RPS) and machine learning. Human Learning professionals now can move into experience-design roles, curation, and other positions to support the content strategy and business analyst roles that act on the data. Using the data learning generates, we can feed business results and key performance indicators (KPIs) into our analytic tools to see the connection between learning and its impact on performance. We now can use learning predictively by uncovering patterns resulting from learning programs, such as increased sales or improved safety issues. Learning will be a tool embedded in the business that is supportive of daily tasks and highly personalized. The personalization of learning can have a big impact on outcomes. High-performing organizations (HiPOs), or companies with increasing KPIs, are far more likely to say that personalized learning is either important or critical to their business. Also, the vast majority of companies that implement personalized learning report positive impacts for the learners and the business. But none of this matters if you do not measure learning properly. It is critical to focus on outcomes that show the impact on the business rather than just learning-focused results such as completions and grades. High-performing organizations are far more likely to regularly or consistently use business-focused outcomes to measure learning’s effectiveness. Simply acknowledging this new paradigm is not enough. The organization must fully commit to the change. It is far too easy to do nothing and maintain the status quo. Companies cannot wait for the path forward to appear; they must act. In many cases, this requires a culture shift. Regardless, the architecture itself must be as flexible and adaptable as possible so the approach can be adjusted as necessary. 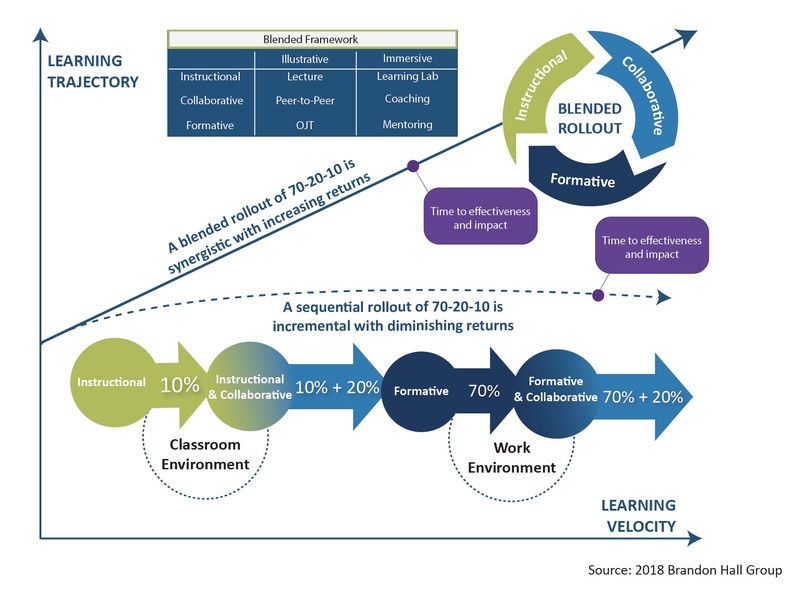 Download a free copy of Brandon Hall Group’s Learning Performance Convergence Model. David Wentworth is principal learning analyst at Brandon Hall Group. The firm’s vision is to inspire a better workplace experience, and its mission is to empower excellence in organizations around the world through its research and tools. Brandon Hall Group has five HCM practices and produces the Brandon Hall Group HCM Excellence Awards and Excellence in Technology Awards; the Women in Leadership Summit; and the annual HCM Excellence Conference, Jan. 22-25, 2019, in West Palm Beach, FL.